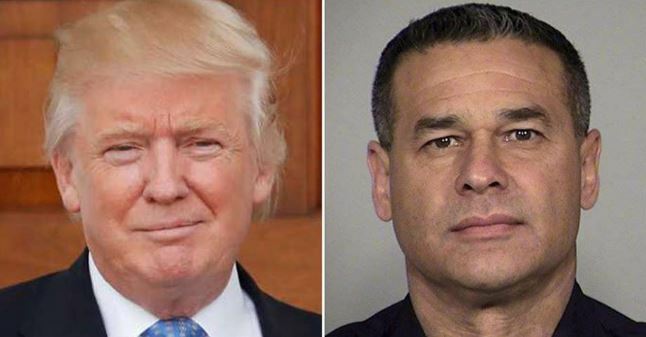 Viral reports that Donald Trump called the grieving family of slain San Antonio Police Detective Benjamin Marconi to offer his condolences. According to a Nov. 22, 2016 article by the San Antonio Express News, Dane Gregory Marconi, the son of Benjamin Marconi, posted a statement on his Facebook page that read: "Just got off the phone with the future president Trump, he sends his condolences to our family." The article said, "Benjamin Marconi, 50, was shot and killed Sunday during a traffic stop in downtown San Antonio around 11:45 a.m." While Marconi was citing a traffic violator a gunman pulled up behind the detectives squad car and fired "two rounds through the passenger window." Otis Tyrone McKane was arrested after a 30-hour manhunt. The article said, McKane "told reporters Monday night he 'lashed out at somebody who didn't deserve it' due to an ongoing custody battle for his son." When the Express tried to contact the Marconi family for comment about the phone call a family member sent out the following statement, "At this time, the Marconi family would like to give thanks from the bottom of our hearts for the outpouring of support, prayers and love we have received. At this time, we would appreciate privacy to mourn the loss of a wonderful father, brother, grandfather, friend and last, but not least, a peace officer." The family thanked "the San Antonio community and the support they received from across the country."